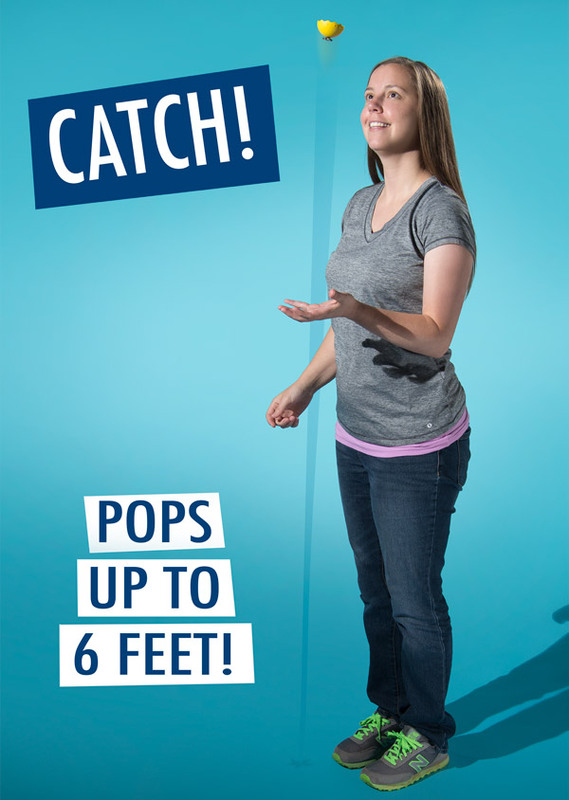 Zeebeez: A pop-up toy that jumps six feet. Convert potential energy into kinetic fun when you drop the surprisingly springy Zeebeez. This simple, pocket-sized plaything shoots up to six feet in the air with no more than a spin and a drop. 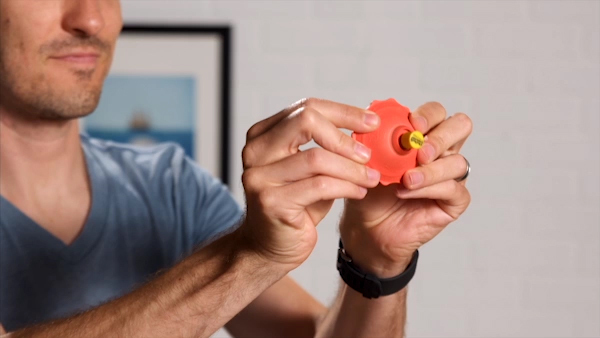 To make it pop, just turn the rubber half-sphere inside out and twirl it slightly while you release. The impact from the surface returns the toy to its original shape, causing it to spring into the air as if the sidewalk were a bounce house. The scientific demonstration is a blast to replicate again and again, surprising friends every time. Fun doesn’t have to be complicated to be fun. Zeebeez isn’t Bluetooth compatible, it doesn’t have a camera, and it won’t learn your name. It will, however, provide entertainment that you might not expect from such a simple concept. You’ll find yourself dropping your Zeebeez repeatedly as you pass the time at work or demo your new toy to your friends. Watch your Zeebeez jump for joy! To get things poppin’, push the body to flip the shape around and create a flattened surface instead of the relaxed dome shape. 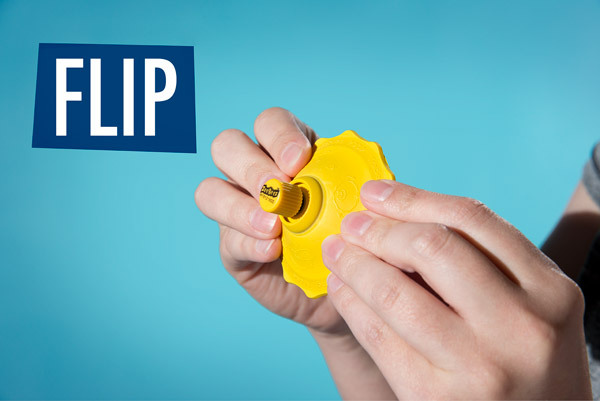 Hold Zeebeez by the yellow plastic nub and drop it with a spin. The tension released when it hits the ground will cause the toy to jump in the air where you can catch it and start the fun again. Take the portable plaything with you when you need a quick burst of fun in your day. The indoor/outdoor toy can provide a nice distraction wherever you find a floor. It takes more time to explain it than to do it. Zeebeez is designed to be easy to use. Once you get the hang of the toy, see how crazy you can get with it. Work on maximizing your height, trying to bounce it into cups, or seeing if you can get it to bounce off the wall (but be careful!). 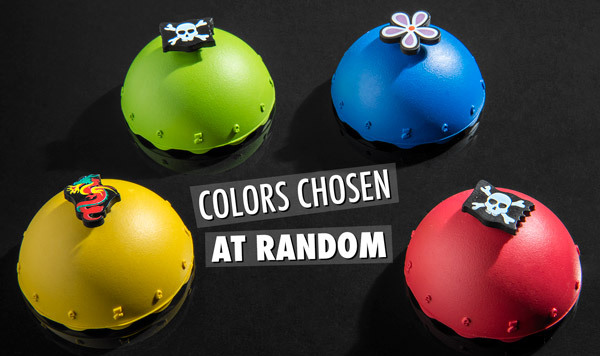 Due to the way the item is shipped to us, the color you receive will be chosen at random. 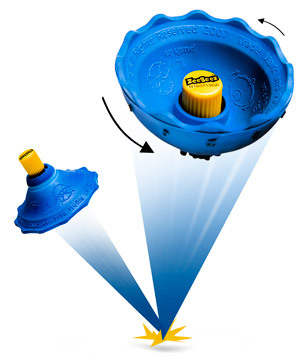 No matter which color you receive, you’ll get a fun pop-up toy that jumps six feet. 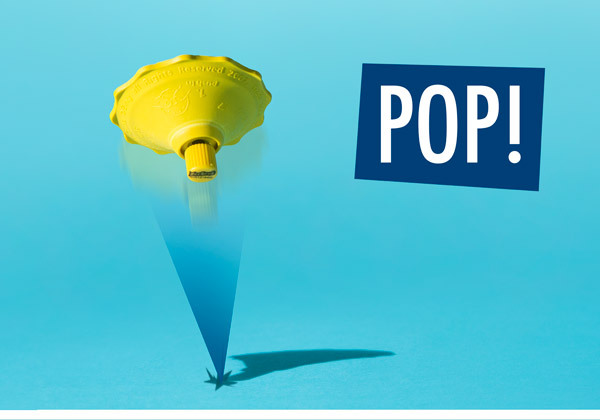 And as a fun bonus, the top of the yellow handle has a small, fun image to give your pop-up toy a pop of personality. Comes in one shade of fun. Question: Will it work anywhere? Answer: Zeebeez is designed for hard, flat surfaces. It may have difficulty on thick carpets or soft ground. 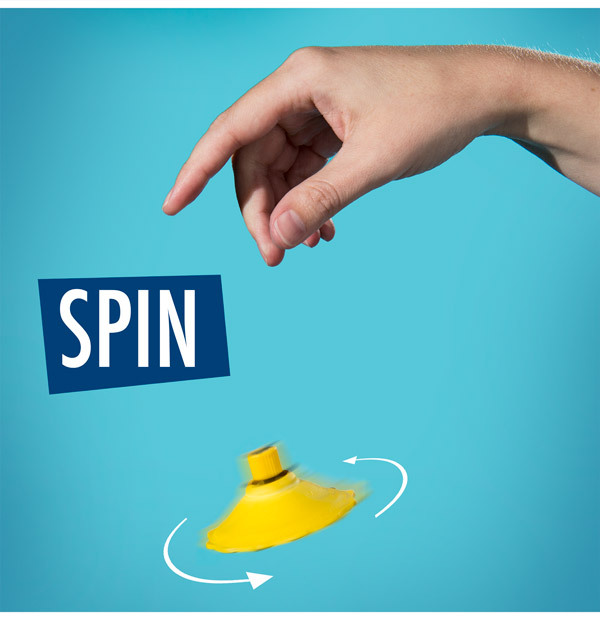 Question: Is spinning really necessary? Answer: You can get Zeebeez to pop up without spinning, but in our testing, we found spinning produces a more consistent result. Question: Can I request a color? Answer: Unfortunately, due to the way we receive the product, we are unable to accommodate color requests. Rest assured, they're all the same amount of fun.